THE NEXT PROGRAM WILL START JANUARY 2ND 2016. Feel your best by committing to 28 days of clean eating and healthy habits. Have you tried all the “quick fixes” … with almost no results? Are you tired of buying book after book, following diet after diet, and still not experiencing the changes you want? Are you tired of being a slave to sugar and caffeine in order to have energy? Would you like more energy and a feeling of total balance throughout the day? I was once in this same place. I bought every health book out there and a bunch of nutrition plans. I spent hours in the gym doing cardio and even more hours on the Internet researching what I could do to get the body I wanted. I literally spent so much time and energy on this. It was crazy! Then things changed! I attended the Institute for Integrative Nutrition and learned that nutrition and eating whole, real foods is the key to nourishing myself, feeling good and looking my best. Yes, exercise plays a role but you can't out-exercise a bad diet. I also realized that following strict diets didn't work for me. As soon as I started placing limits on what I could and couldn't eat, it backfired and my cravings for things got so intense. I would be "good" all day or all week and then cave and eat unhealthy foods at night or on the weekends. Fortunately, I learned about clean eating, found out what foods work for my body and now live a life of balance when it comes to diet and exercise. Now I'm ready to support others wanting to do the same! When you diet, you’re focusing on the foods you can't have and counting calories. Most of the time, you end up feeling deprived, crave everything you can't have and binge or go back to eating the same way you did before the diet. That’s what makes my program different. Unlike a diet, this 28-day adventure is just that -- the beginning of your health journey. This plan teaches you how to eat foods that are healthy and delicious, so you never have to count calories. Instead you’ll learn how to effortlessly meet your health goals. The outcome – you change your mind-set and turn unhealthy habits into healthy ones instead of opting for the next quick fix. Clean eating is a movement; a revolution. You’re about to embark on a life-changing experience -- ditching the diet mentality forever. If you're ready to make a lifestyle change and forget the diet mentality, this program is for you. But, let me warn you – this program is so much more than the just the food on your plate. 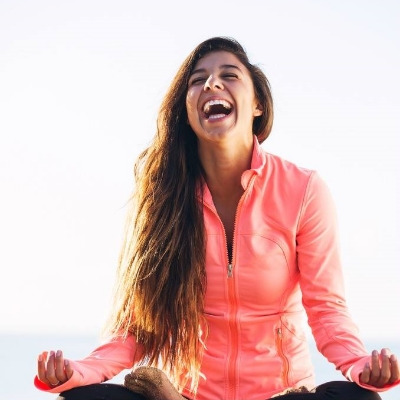 Through the Institute for Integrative Nutrition, I learned tools that have allowed me to combat stress, achieve my goals, live healthier and learn how to balance it all – in my busy life. In just 28 simple days, you can do this too. You'll learn your healthy blueprint – learn what foods give you optimal energy, jump-start your metabolism and know how to plan your own meals. Eat the foods that are right for you. Take the exact steps, week by week, that will help you achieve long lasting results. I have put together a clean eating guide that will guarantee results while taking the headache out of “What should I eat today”? And it's not an exact meal plan that will get bland and boring. It's a guide so that you can mix and match from different food options to easily come up with your own meals. But don't worry, there are plenty of recipes in case you need ideas too! 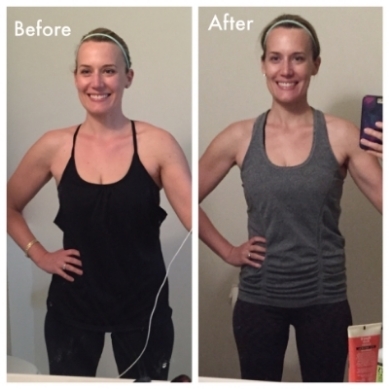 I am not just talking short term or the quick fix results -- I mean real, life changing results. Results you get when you are supported for 28 days with a step by step guide, recipes galore to make your life easy and simple. This program is meant to be a manual for life –- each day you have action steps you can take towards your health goals. Imagine feeling better than you have ever felt! Simple, Real – Whole Foods 28 Day program delivered straight to your inbox. — Alyssa of Life of Blyss (read her full review). Interested in extra support? Learn more about my 3-6 month 1:1 health coaching.